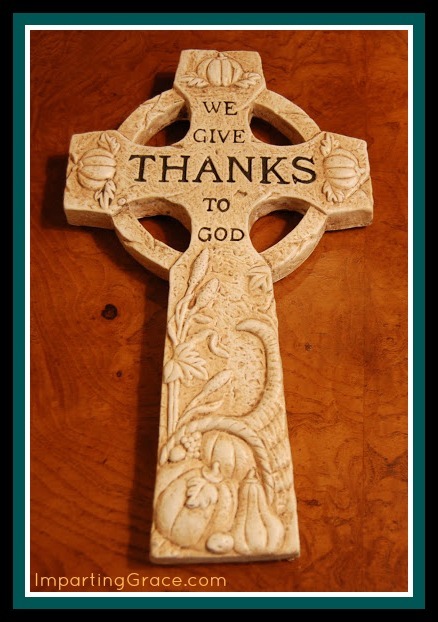 Imparting Grace: It's Thanksgiving week! May your day be blessed with reminders of the One we thank. Every blessing to you and your loved ones! Thank you dear Richella. This is the week to give thanks, specially...although I thank our Lord all year round for the blessings we receive throughout the entire year. Have a Happy Thanksgiving to you and yours. You and your blog and your heart are some of the things I am thankful for!